British pop stars Adele and Leona Lewis have been named the opening acts for the 2012 London Olympic games . In a statement released by james Macleod , the head of the olympic committee ,he stated that both singers will sing two select songs each and will come together to sing a duet ,which will become an official anthem. 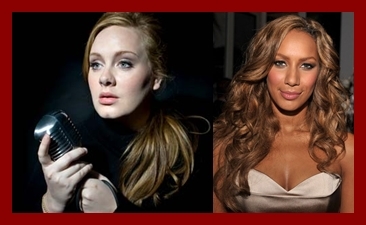 Adele and Leona Lewis are two of the most recognised living female artists in the world of music today. All there records are sold on the basis of one Key Element their voice. They have already represented the United Kingdom throughout the globe with their respective hit singles and albums, along with their touring abilities. It is the Olympic Committee’s duty to bring the best live performances for the opening show, and these two incredibly gifted and talented individuals will bring an essence of class and serenity to the show. They are both from working class backgrounds and have worked their way up in the industry. Opening the ceremony will be a huge honour for both. Both singers will sing two select songs each, and will come together to sing a duet, which will become an official Olympic anthem. We as a nation should be incredibly proud of these two artists. The Olympic kicks off july 27 .Leona lewis first performed at the closing ceremony of the 2008's Beijing Olympic.